Patrick B. Jenkins has more than 15 years of experience in community relations, government administration and public policy. He founded Patrick B. Jenkins and Associates in January 2009 and co-founded Distinctive Public Affairs, LLC in 2010. He left Distinctive in September 2012. Patrick B. Jenkins & Associates is a consulting firm specializing in strategic solutions for businesses and campaigns, government and community relations. Prior to starting his own firms, he served as a government affairs specialist for two years at a leading NYC lobbying firm. Patrick started in government and community relations with the NYC Comptroller's office before serving for seven years as Executive Assistant to a Queens member of the U.S. Congress. He also has extensive campaign experience serving as a consultant to several local and statewide campaigns including leadership roles in campaigns for Mayor, Governor and Attorney General. In addition, Patrick served as an advisor and operative for several other national, state and local campaigns. 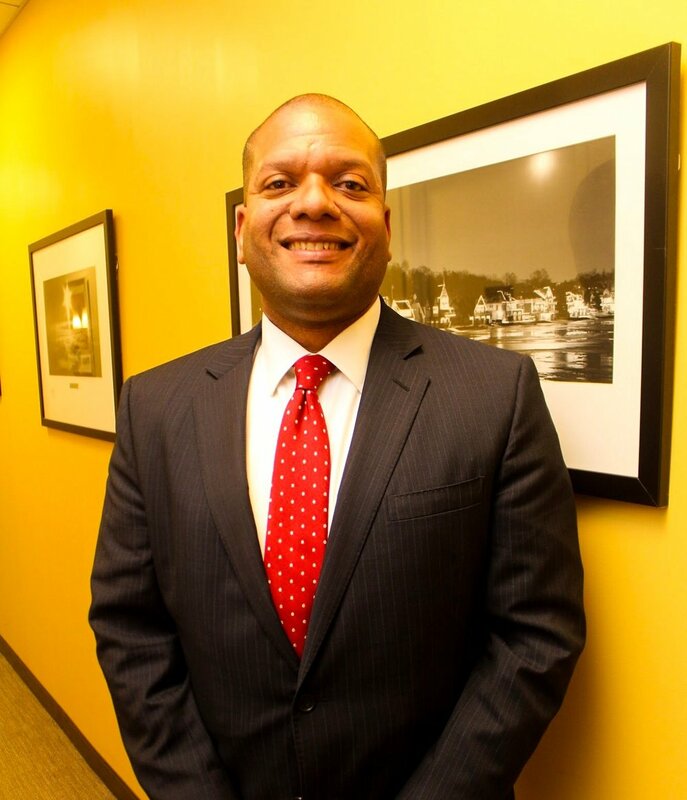 Building on his experience as a Congressional aide in New York and the nation's capital, Dwayne M. Andrews has worked for more than fifteen years as a lawyer and government relations professional, advocating for clients in New York City, Albany and Washington, DC. Dwayne has been a partner in the government relations practices of two leading law firms – Cozen O’Connor and Blank Rome. At Blank Rome he was the Vice-Practice Group leader and served as chairman of the firm’s Attorneys of Color affinity group. Dwayne previously served as an associate general counsel and then the vice president for government relations at a national educational services provider. Additionally, he spent five years working on Capitol Hill, serving as press secretary to a Member of Congress from Queens and as a professional staff member for the U.S. House of Representatives Committee on Small Business. Dwayne serves as the co-chair of the Legislative Committee of the Metropolitan Black Bar Association of New York. Jennifer Richardson is a Senior Vice President at Patrick B. Jenkins & Associates. She has fourteen years of experience working in New York City and New York State government analyzing and advising on state and city legislative and regulatory proposals and budgetary items. Her most recent experiences include successful legislative advocacy on behalf of Minority and Women Owned Business Enterprises, Criminal Justice Reform, the professions, and the financial sector. Jennifer previously served as the Deputy Director for Mayor Bill de Blasio’s State Legislative Affairs Office. Her portfolio included education, health, social services, immigrant affairs, law department, and technology. She was also the Director of State Legislative Affairs for the New York City Department of Education where she drafted legislation and facilitated the passage of mandatory Pre-K in New York City and Electronic Access to Individualized Education Programs. She is currently the President of the Capital District Black & Hispanic Bar Association. Bharati S. Kemraj has over a decade of experience working in media, non-profit, public and government settings and combines a knack for communications with a true passion for community engagement. At BronxNet TV from 2005 to 2010, Bharati covered local, national and international news, events and topics for the New York Emmy Award-winning live show "Open.” She also coordinated guests, wrote scripts, created graphics and trained students in all areas of production. Hired for her technical skills in 2012, Bharati became Community Board 11’s first-ever Community Assistant and spent much of her time there helping launch and maintain the Board’s NYC.gov website, among other duties. From 2012 to 2015, she served on Community Board 9, becoming, in 2014, its Treasurer and Chairperson of the Youth & Education and Planning Committees. In 2013 she graduated from the NYPD Citizens Police Academy. From 2015 to 2018 she worked in the Office of The Bronx Borough President – first serving in the Communications and Media Department and then being promoted to the Community Boards Unit representing the Borough President throughout the community. In 2015 Bharati was honored by the Bronx Times Newspaper as one of the 25 Most Influential Women of the Bronx and in 2018 she was named a New York City 40 Under 40 Rising Star by City & State. Cory Loomis has more than five years experience in local government, public policy, and government relations. Cory first gained experience as an intern for U.S. Senator Charles Schumer, the Adirondack Council, and United University Professionals. As a Legislative Associate for The Riddell Group LLC. Cory lobbied on behalf of Fortune 500 companies, professional associations, and other interests. As the Legislative Director at Patrick B. Jenkins and Associates Cory has crafted bill language, developed legislative strategy, and lobbied on behalf of the firm’s clients. A highlight of his work at PBJ&A was the inclusion of a “breakfast after the bell” program in the 2018 New York State budget. Cory received his Master of Public Administration at the Rockefeller School of Public Affairs & Policy and received a B.A. in Political Science at SUNY Fredonia. In 2017 Cory was named one of City and State’s 40 under 40 Rising Stars in Government. Ryan A. Day has over 4 years working experience in government relations and is an Associate at Patrick B. Jenkins & Associates. He manages Community Relations, Graphic Design, Social Media Management, and Web Development in the New York City office. Ryan was born in Los Angeles, CA and raised in Columbia, MD. Ryan moved to New York City in 2010 to attend St. John’s University, where he studied Marketing at the Tobin School of Business. Ryan has led the content curation for numerous mobile apps, served as the Director of Photography for the short-film Black Theory II, and is a published photographer. As an experienced associate at Patrick B. Jenkins & Associates, Jordan Carélus has a demonstrated history of working in the government relations industry. Jordan utilizes his knowledge of campaign communications, social media management, and fundraising strategies to get results for political candidates. Victoria Jones joined Patrick B. Jenkins & Associates in 2017 as an Associate and manages the day-to-day operations of the firm’s New York City office. Born and raised in Detroit, MI, Victoria relocated to New York to jumpstart her career after working as a freelance writer and social media manager for 2 years. Victoria is a graduate of Central Michigan University. She is a proud member of Sigma Lambda Gamma National Sorority, Inc.; a multicultural organization focused on women’s empowerment. Victoria has managed the social media and marketing needs of Brown Girls Do Ballet, Inc.; Imperative Concierge Services, LLC. ; Tamara Spa and Wellness; and the “Tough Love” Web Series. Her experience has helped her become well-versed in client relations, social media management, and writing.